Arthur Rimbaud is one of the most influential French poets of the 19th century. His unusual free-verse style of poetry has served as a primary influence to many of the great poets and artistic movements of the 20th century including French Symbolism, Surrealism, Beat counter-cul ture, and Jim Morrison, Bob Dylan and Patti Smith. His name is frequently associated with counter-cultural movements and schools of thought; this is because he himself was counter-cultural in his day. His poetry is inspired and suggestive; his personality was caustic and unstable. Though brilliant, during his life his peers regarded him as unsophisticated, arrogant, and perverted. 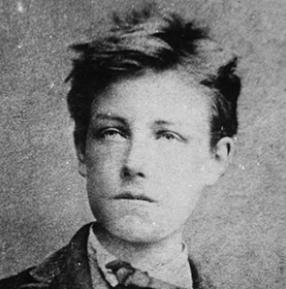 We have included several of Rimbaud's poems in the eNothing blog; including "The Drunken Boat" which stands as a "Top 100 of all time" entry. You can search for them easily.